Albert Einstein was perhaps the greatest thinker of the last century. Although he was very intelligent, he credited his successful theories not to his intelligence, but to “curiosity, concentration, perseverance, and self-criticism.” It is this last characteristic which, in my opinion, separated him from other great thinkers. It is also the attribute of self-criticism which separates great managers from the not-so-great. Rather tha n accepting that perhaps they’re going in the wrong direction most people, once they make a decision, stick by it. There is no openness to any criticism – either from themselves or from others. This is why we frequently hear political pundits and politicians taking clearly absurd stances on issues. The facts (and frequently common sense) don’t support these views but the facts never enter the thought process. Ultimately, we need to accept feedback before we change our opinions. Then once the contrary views or facts are accepted they must be reconciled internally. This was Einstein’s true genius. He heard contradictory thoughts or saw contrary facts and then kept criticizing his own views until he devised theories which could explain all them. It takes some ego sacrifice to accept the criticism and it takes a lot of intellectual energy to perform the self-criticism and reconciliation. This is why we seldom hear a politician admitting he or she made a mistake or the transportation department supervisor “owning up” to a poor decision. The practice of accepting criticism and learning from it is pretty rare. Great managers, on the other hand, are always seeking out reactions – even if the feedback is negative. In fact, you might say they manage by the motto “All Feedback is Good Feedback.” They seek feedback 60’s style by using suggestion boxes. They seek it 80’s style by supporting employee – management committees. Some even seek it 90’s style by performing customer surveys. But most importantly, the really successful managers seek it by the timeless practice of talking, often one on one, with their employees and their customers. Schedule one-on-one meetings with all of your staff. While in these meetings, ask honestly for ideas, problems, and criticism. Get out from behind your desk. Even if this means the critically important emails won’t get answered within 5 (or 50) minutes of receipt, making yourself visible encourages feedback. Make up excuses to go into the staff lounge. In my case, that’s where I get my coffee. Praise those who bring up new ideas or spot flaws in existing ideas or practices. That means, instead of ignoring or denigrating the person who speaks up in a training session or staff meeting, go out of your way to value and compliment their ideas. Give effusive credit to the employee who points out a problem. When the problem is fixed, make sure everyone knows and credits that person who first brought it to our attention. Go where the action is. You don’t have to be the “Undercover Boss” to ride along on one of your driver’s bus routes. In addition to building morale, this practice will almost always yield invaluable knowledge of your organization’s strengths and weaknesses. Now, once you’ve received all of this feedback, you need to perform an honest assessment of what you’re doing and how you’re doing it. Take the comments, suggestions, and even insults to heart. Don’t think you’ll be perceived of as weak or “wishy-washy” when your self-criticism nourished by timely feedback takes you or your organization in a different direction. 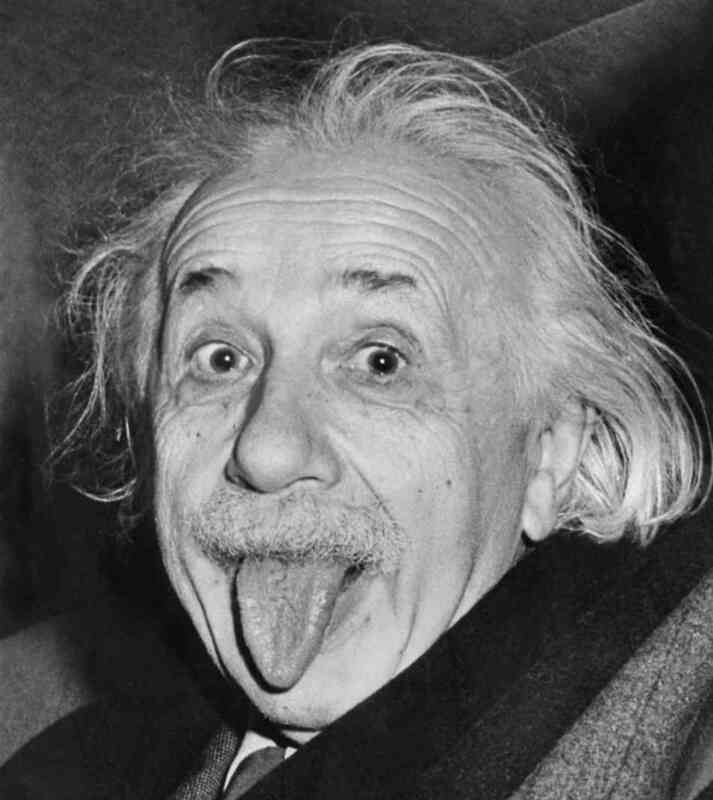 Instead, you’ll be following in Einstein’s footprints… and he wasn’t exactly unsuccessful. Posted on May 20, 2013, in Best Practices and tagged Einstein, Feedback, leadership, Management. Bookmark the permalink. 1 Comment.